It’s been awhile since we’ve had a review of a cigar with the My Father name on it’s band. Not to be confused with a cigar from the My Father factory. If you’ve kept up with a lot of recent cigar news you would have noticed that the My Father factory in Nicaraguan is quickly making a name for itself as a top quality producer of many different cigars under many different brands and companies. Although Jose “Pepin” Garcia has been blending a wide array of fantastic cigars for many years, the My Father Cigars S.A. company and factory was opened only recently in 2008 by his son, Jaime Garcia. 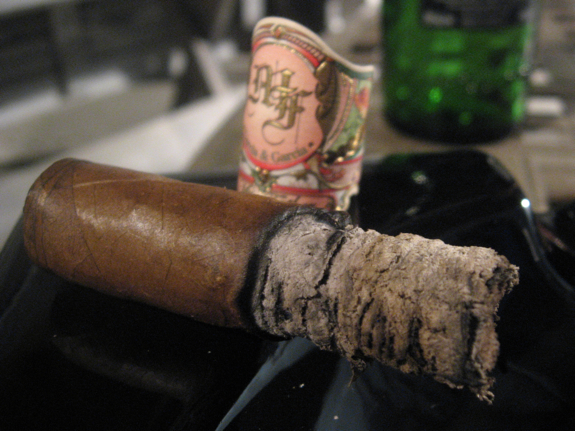 A little while back I had the chance to review and enjoy one of the My Father Cigars Le Bijou 1922. Today I’m taking on a slightly different cigar, the Cedros Deluxe. 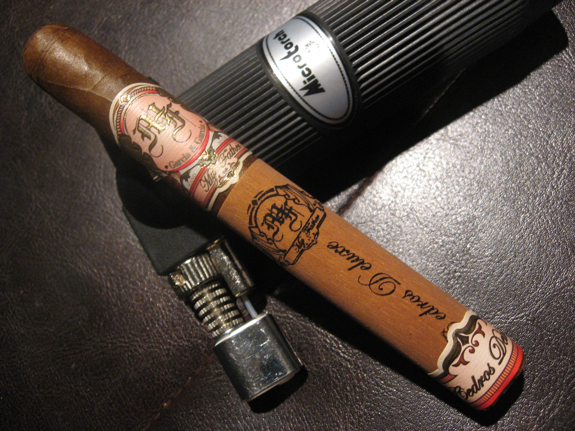 Just like the Le Bijou, this cigar is blended by Don Pepin Garcia. The Cedros Deluxe series comes in a few different sizes each with their own unique name. Today’s review will focus on the Corona Gorda size which is called the “Eminentes”. 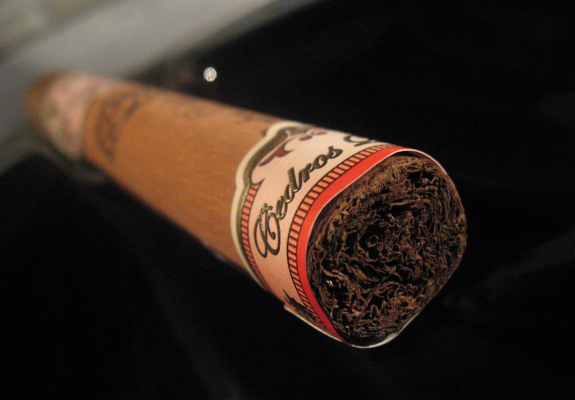 Each cigar in this line also comes wrapper in a cedar sleeve and an additional band near the foot. Now this is a beautifully presented cigar! The bands on the My Father’s never cease to impress me. They have a cleanly printed matte label with green, red and pink accented by some metallic gold lettering. Even the lettering printed on the cedar sleeve is precise and clear. 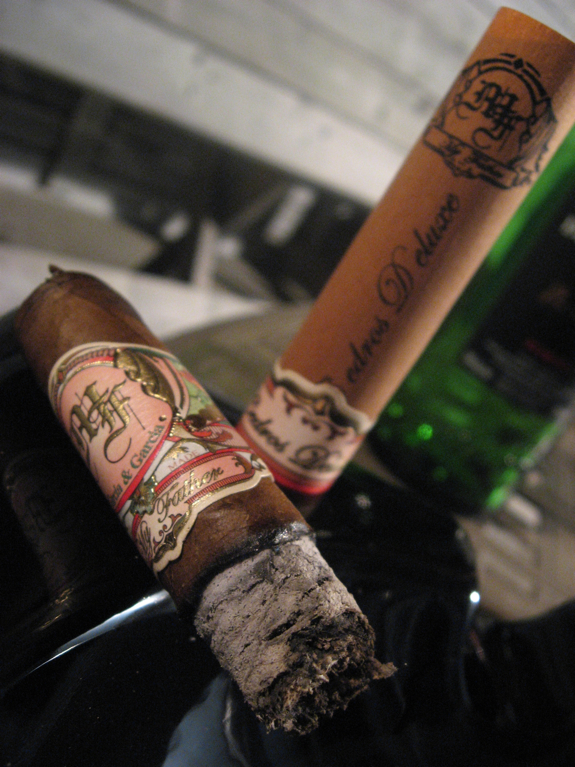 It’s easy to tell there was a significant amount of attention to detail in the creation of each aspect of this cigar. But enough blabbing from me, let’s hop to it and see how this cigar actually smokes. •	This while cigar smells completely like cedar! Oh wait… let me remove that cedar sleeve..
•	Initial draws are filled with a smooth and creamy cedar flavor accented by a mild clove and nutmeg spice. This was a very enjoyable cigar from start to finish. The flavors were always tasty and had some complexity to them but can still be enjoyed by any level of smoker. The various flavors also changed up throughout the cigar adding some interesting and enjoyable dimensions that kept me on my toes. Construction was excellent as well. The price on this line of cigars is fairly comfortable as well, making it easy to pick some up and add to your regular rotation. 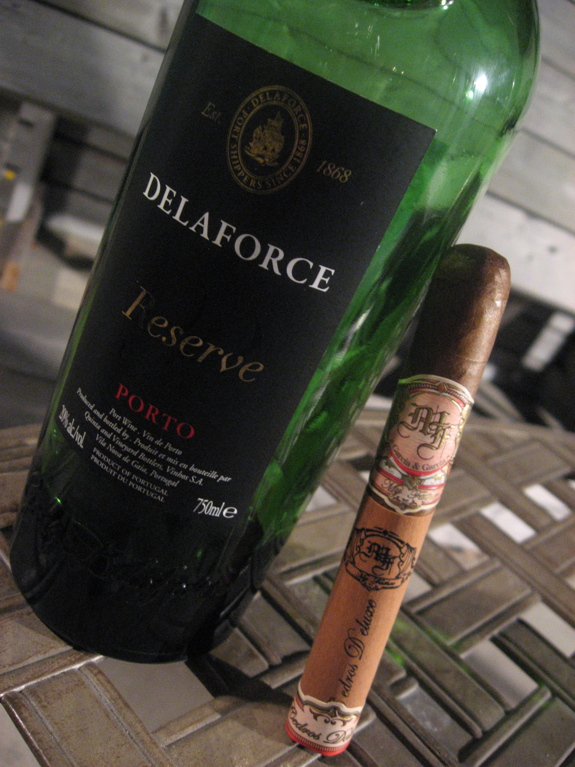 Today’s pairing was my final glass from the bottle of Delaforce Reserve Porto. 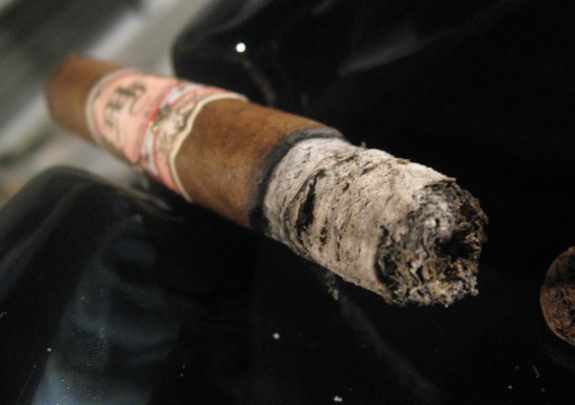 I enjoyed this port with a recent review of the Partagas Benji Menendez Master Series. It’s definitely one of my favorites mainly due to it’s full bodied red wine undertones. On top of that wonderful base, the Delaforce Reserve offers up a mix of blackberry and cherry flavors along with a bit of a smoked oak. I found this cigar paired excellently with this port especially accenting the cedar notes it had. Other good pairings with the My Father Cigars Cedros Deluxe would include a stronger coffee, dark porter, stout, or scotch. Great review, I have to say this is one of my personal favorites along with the Reloba from Jaime Garcia. 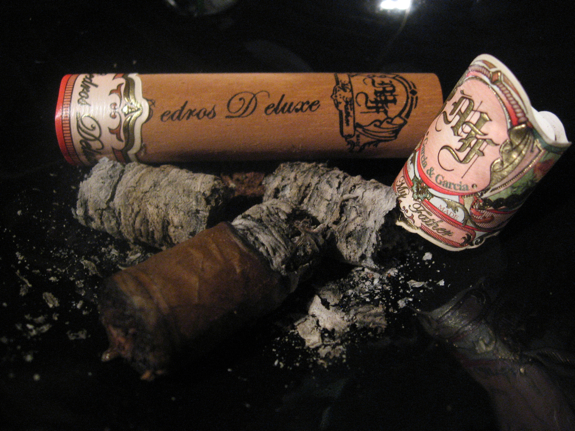 another great review from Daniel T. i’m dying to try one of the “my father” cigars. they sound fantastic. Daniel, where is the best place to order these in, with no trouble on the delivery?? by the way, i always meant to ask Daniel, the prices that YOU quote, are they msrp, cdn or u.s. dollars?? hey everyone, Daniel might be coming to my place for a herf afternoon with all the guys and gals at The Black Dog Cigar Club. we all hope he’ll make it, just waiting for HIS comfirmation. it’s gonna be like having a movie star at my place!!! @Albert – Thanks! They are definitely a tasty cigar and I will be seeking out more for sure. Haven’t had the Reloba yet though, I will have to give it a try. @Lou – “My Father” makes some great cigars ,you should definitely seek some of them out! We can talk via email or in person about my acquisition methods! hehe! The prices quoted are usually a USD estimate based on prices from various online sources. @Lou – He’s gonna smell up your house. What a fine looking smoke this is. The burn for me was just fine; I was a little concerned at first this was going to be all cedar, but there was an intriguing succession of notes. All in all, this cigar lived up to its presentation. 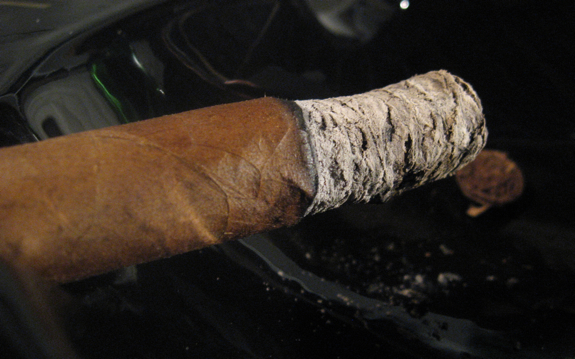 @Cigar Inspector – I had the same worry about being overly cedary. Not that I wouldn’t have liked it but it’s what I was expecting. 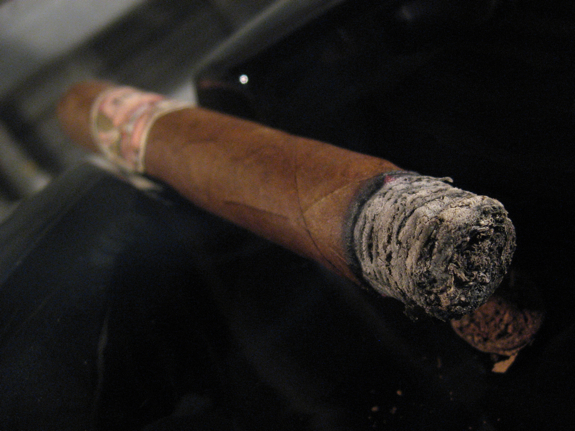 But as you said, the cigar offered a nice variety of flavors and I enjoyed it the whole way through. The presentation on these is top-notch too! @Tadd – Damn straight man! I’ve yet to be let down by anything in the MF line. From what I understand, it’s the same blend as a normal MF but in a different size and wrapped in cedar. Another good review. I need to get into My Fathers a little more. Perhaps Puff’s CG size would be a good starting point. Keep up the good work man ! Definitely should pick up a few Jay. They will make for great models on your site too. All of the MF sticks seem to be so meticulously put together and presented so well. Thanks again Jay!